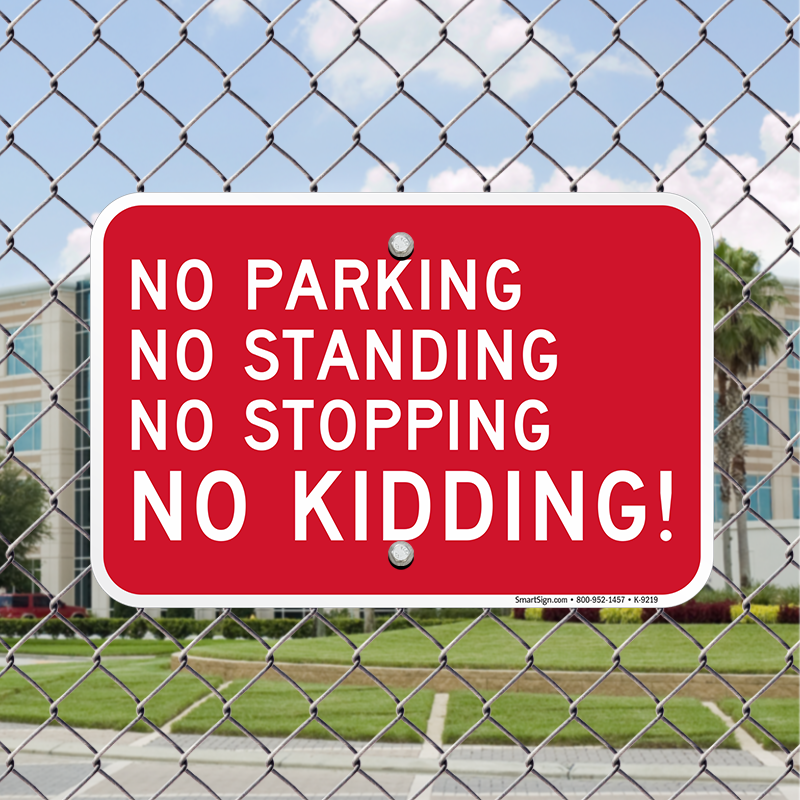 No Parking Sign: No Parking No Standing No Stopping No Kidding! 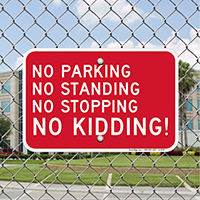 Legend No Parking No Standing No Stopping No Kidding! 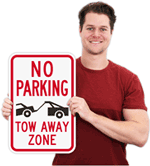 Serious about preventing parking violations? 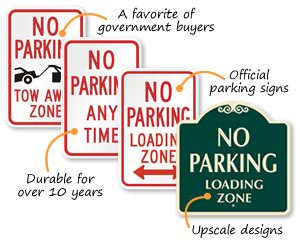 Install our No Parking Sign in your property to keep unauthorized vehicles from parking on your property. 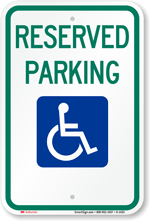 • Designed using durable materials, sign withstands chemical and weather abuse, and stays brand new for a long time. 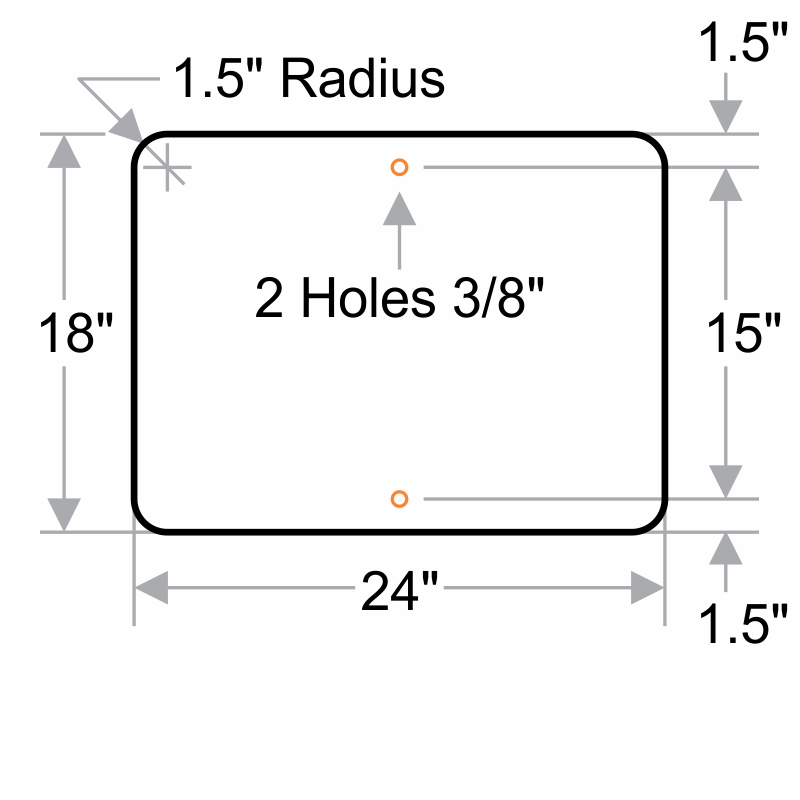 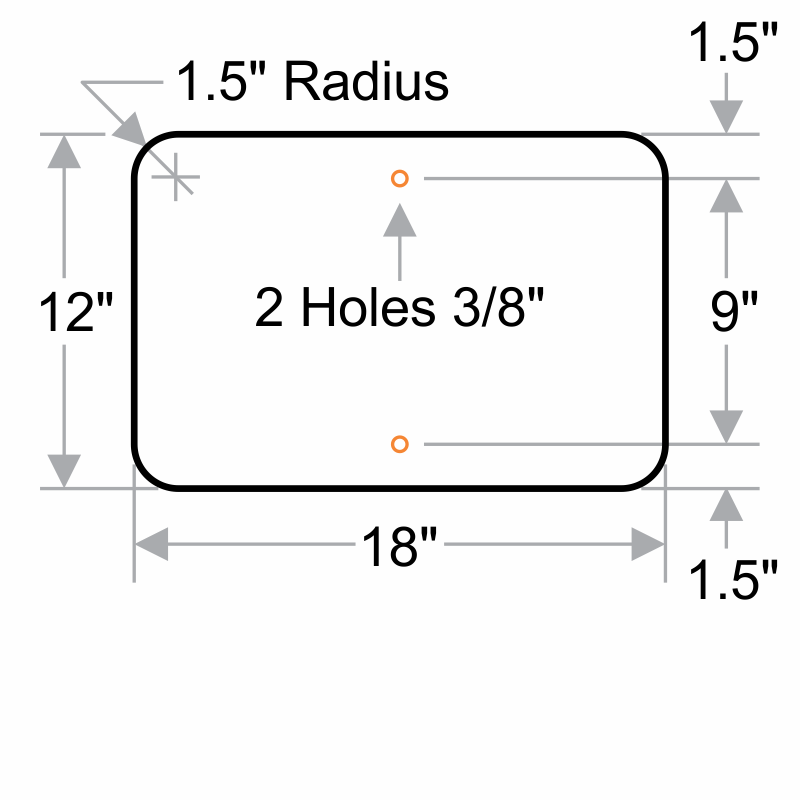 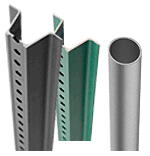 • Rounded corners offer easy installation.